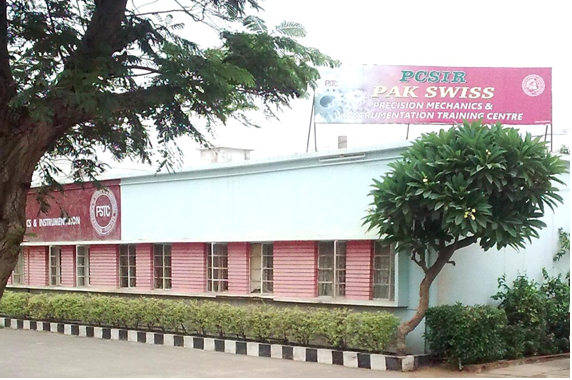 In response to the need arising from the expansion of industrial sector in the late 60s, Pak-Swiss Training Centre (PSTC) was established in 1965 by Pakistan Council of Scientific & Industrial Research through Swiss Collaboration to develop specialized technical resource in Precision Mechanics and Instrumentation, its technical training program follows Swiss technical training methodology which is unique blend of practical and theory meeting requirements for award of this specialized Diploma. This venture has been a phenomenal success due to high demand of its trained technical resource in the industry. Due to its high standards and recognition the trained manpower has played their role in national development and hence has fulfilled the objective to provide properly trained technical resource for capacity building of local Industry. This resource has been instrumental specially in boosting automobile sector and thus has contributed to national GDP. Realizing its success it was desired to expand the said program in all provinces of Pakistan. Presently training centers following the Swiss technical training scheme have been established in Karachi, Quetta, Peshawar & Lahore and Gwadar. Karachi center has also added another technology of IPC which is having high demand in the Industry. The Program is of 04 years duration. The B.Tech. Degree is affiliated with NED University of Engineering & Technology. The students who have completed their Diploma of Associate Engineer / Intermediate (F.Sc. ), can get admission in B.Tech. Timing: 3.00 p.m. to 8.00 p.m. The three-year Diploma Course of Associate Engineer in MECHANICAL TECHNOLOGY WITH SPECIALIZATION IN PRECISION MACHINING & INSTRUMENT TECHNOLOGY is conducted according to the methods of training followed in Switzerland. 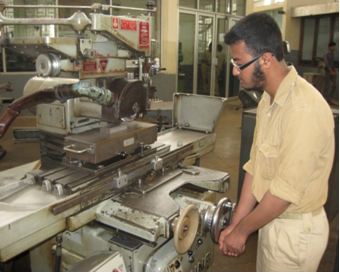 The Centre is affiliated to the Sind Board of Technical Education and the course has been recognized by the Board as a diploma course in MECHANICAL TECHNOLOGY WITH SPECIALIZATION IN PRECISION MACHINING & INSTRUMENT TECHNOLOGY. Students of the diploma course are provided adequate theoretical and practical training by undergoing a Three-year training covering 1800 hours in theory and 3600 hours in training, making a total of 5400 hours – 1/3rd theory and 2/3rd practical. 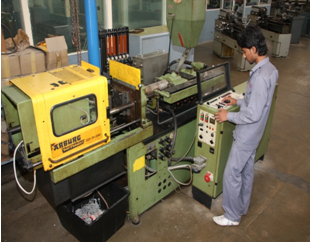 The Course is designed to impart training about different kinds of moulds and dies and their manufacture. The teaching of the theoretical aspects is undertaken in monthly blocks. In the third year of the course every 3rd week is a theory week, which means that there are two weeks of workshop practice and one week for theory. Three years Diploma Course of Associate Engineer in Instrumentation and Process Control Technology in the field of Process Control Instrumentation & Engineering is affiliated to the Sind Board of Technical Education. Considering the steep rise of students applying for admission, PSTC has initiated to conduct a 04 Years D.A.E. in MECHANICAL TECHNOLOGY WITH SPECIALIZATION IN DIES & MOULD TECHNOLOGY in the Evening on the lines similar to the morning session. However, this Program is on “Self Finance Basis”. The Course is affiliated with Sindh Board of Technical Education. Besides regular Diploma Program, PSTC is also conducting Professional short Courses in the evening for in-service engineers & Technologists and other interest persons involved in the relevant fields. The course is of 04 weeks duration and comprises 40 hours of practical training on CNC Milling Machine, CNC Lathe Machine. The trainees are provided opportunity to make their own CNC programmes, feed the data on machine themselves and run the program on actual work pieces. 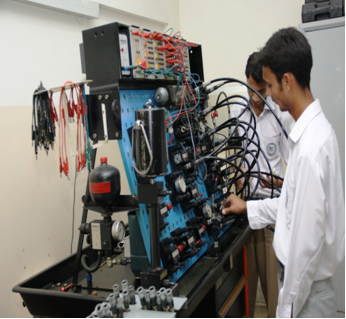 The course is of 08 weeks duration and comprises 40 hours of audio visual theory class and 40 hours practical session on Pneumatic training package and Electro Pneumatic Package, Hydraulic & Electro Hydraulic training package, Programmable Logic Controls Programming on a personal computer and transfer of data to PLC through LAN. Timing………………(3.00 p.m to 7.00 p.m.)-Saturday & Sunday Off.